GT Fans! With E3 2016 just around the corner, we thought we’d give the community a first look at some of the new features in Gran Turismo Sport, including Livery Editor, Social Features, LIVE Broadcast and Photo Scapes modes. 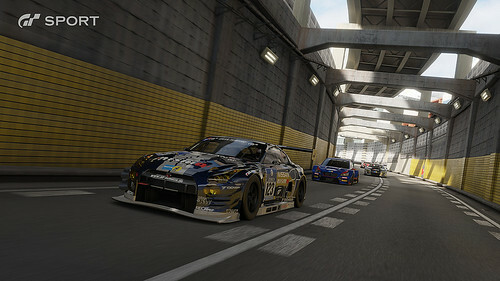 Gran Turismo’s legacy of innovation is rekindled once again with the next iteration of Polyphony Digital’s eSports-focused racing simulator. More than 15 years ago Kazunori Yamauchi and his team introduced console gamers to real-world physics, and more recently, Gran Turismo has trailblazed new paths across the gaming and automotive industries with programs such as Vision Gran Turismo and GT Academy. Building on GT Academy’s success, GT Sport empowers gamers of all skill levels to compete in high-stakes racing with FIA-certified championships. If you haven’t had a chance to see what the future of motorsport holds, check out the first Gran Turismo FIA Championship Pre-Season Test that was held in London last month. 32 of the world’s fastest GT players competed head-to-head in two championships – Nations Cup and Manufacturers Fan Cup. After a series of intense battles across the newly introduced Tokyo Expressway and the ever-popular Nürburgring Nordschleife, Takuya Takahashi of Japan walked away with top honors in the Nations Cup, while Carlos Martinez (Spain) and Yusuke Tomibayashi (Japan) was crowned victor of the Manufacturers Fan Cup. The game’s newest trailer shows off GT Sport’s most compelling features and provides an exhilarating look at the future of motorsport – enjoy! We hope you’ll stay tuned to PlayStation’s channels next week as Yamauchi-san will join our team at E3 to show off more gameplay on the PlayStation LiveCast. If you’re at E3 this year, you can stop by the PlayStation booth to play GT Sport for yourself! For more information on GT Sport, follow us on Facebook, Gran-Turismo.com, or PlayStation.com. So, how much of this game can be played offline? +Ken Chan Are you referring to the classic ‘career’ campaign mode that has been in previous installments, involving various competitions and licenses? Thank you! Loving the online life but I’m glad to hear it has classic Arcade and Campaign modes. At 1:32 there is a notification on the lower right that someone had completed 50% of the “Campaign Mode” and at 1:34 you can see a “Driver Class” icon with a progress meter. Sadly it seems like the car customization (livery editor is not a good replacement) was thrown out the window for this game. It’s a bummer because I was really waiting for a PS4 Gran Turismo, but this doesn’t seem like the one for me. GT7 is still in the works. Seeing Sony “Interactive” Entertainment is really weird…was used to Sony Computer Entertainment since the PS1…what a dumb change. Why does this just not feel like a fully fledged game to me? I think their missing the point of true racing altogether, stop showing photo modes & tournaments & concentrate on the racing & customization that’s been lacking for a long time in this series! Disappointed. The trailer is showing a portion of the newest features available to GT Sport. Plenty of info to come! 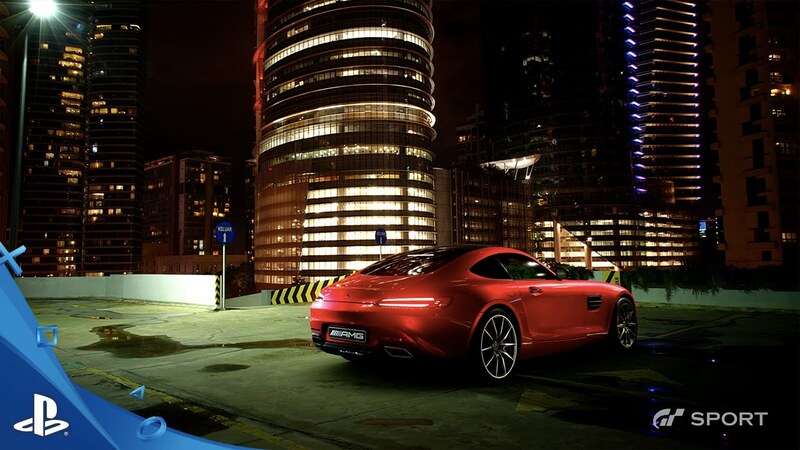 Will there be Community/Club features like in Gran Turismo 6? Tournament builder? Looks great to me! I have been a fan of GT since Playstation 1. I’d like to see Gran Turismo Sport plays with Playstation VR. Looks very sol!d. Cannot wait, will there be a new wheel to coincide with the release? Perhaps a Thrustmaster wheel and game bundle. So is this ps neo footage or og playstation? I think that should now be stated on every trailer from now on or it is false advertising. As much as I’d like to play a top-notch racing sim on my PlayStation (typically much more conducive to third-party peripherals), Gran Turismo trails far behind Forza Motorsport. I’m not willing to settle for second-best sim, so I’ll likely be sitting this one out. Nobody care about forza around here. @anszbd1 the only reason I don’t care about Forza is because I wont buy another Microsoft product, but you can’t say it’s not a nice looking game. I’m not going to buy any version of the PS4, either. Forza is a good game no doubt but I prefer the FT series. Glad they added car customization. So far its looking more like a GT7 prologue than a full fledged GT7. My only question is, will it allow me to use my driving force GT on it or will I have to skip this game until someone makes an adapter for it? Looks great!! Just as long as there’s Nissan + Volk Wheels = happiness here. Side note: I just hope there’s no stupid rain effect on the camera lens like there is in Driveclub. So annoying. I thoroughly enjoy DC but when it rains and the drops hit the camera, most annoying thing in a racing game. Any Drop on the Tuesday releases today or is E3 putting that aside? So, what about ‘The Drop’ guys? so gtvita isn’t a thing yet? also can you guys please call out to who ever’s in charge licensing and ask if they can get a hold of the SARD MC8-R or the Toyota MR2 SW20 2000gt/MC4 GT II (the car the MC8-R is based on),I mean this car also competed in the JGTC against the Mclaren F1 and a few other notable cars;and I feel its a downright shame that its not featured in the games so far. So I hope this reaches someone with some form of authority; so that hopefully we can finally have either of those cars in the game. I mean we have had access to basically all current forms of the Nissan Skyline GT-R/GTR since GT3; its about time we got some Japanese Midship Rear engine love from more than the NSX. Will the dynamic time of day transitions return from GT5&6? If not, is it possible for you to add it in through an update patch?? I wouldn’t normally do this, but I’ve gotta suggest a change. LOL. Thinking of M.I.A’s Bad Girls video…. 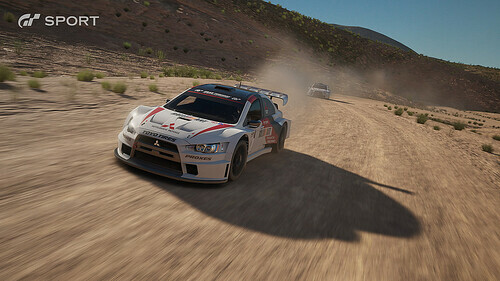 In offline mode using 2 controllers can you race head to head with a friend ? Any word on if this has g27 wheel support? I haven’t bought a driving game since purchasing my PS4 at launch. Sony and developers lost out on a lot of my dollars and it will stay that way until the g27 gets supported. I was wondering where The Drop was, then I remembered, E3. Does anyone know of any other place we can read up on what’s coming the the PSstore? The last iteration of GT I really loved was GTA3. I can’t get into the last couple because they were so focused on being a simulator rather than a fun racing game. A little bit of tuning is fine but I don’t want to take the time to fix every little aspect of a car to make it run well. Hope this is a little more casual racer friendly. I can’t wait for more GT! Is there going to be G27 wheel support?